If you have been looking for a means to change your foreign currencies to naira or looking for where to buy dollars to fund your domiciliary account, then your problems are over because I have taken my time to compile a list of Bureau De Change outlets across Nigeria. What is Bureau De Change? 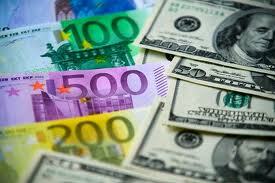 They are business ventures that deal on buying and selling of foreign currencies. For example if your uncle sends you some dollars through western union money transfer, you can easily go to any bureau De Change office and change it to naira. They can also be useful if you want to buy dollars to fund your domiciliary account. Note: please make sure you make serious enquiries on any of them you intend to use before committing your money because there are a lot of fraudsters out there, and I will not be held responsible for any mishap. Address: Plot 510, Zone I, Wuse, Abuja. Address: Radmed House, Plot 1E, Ligali Ayorinde Street, Victoria Island, Lagos. Address: 15/17 Abibu-Oki Street, Off Marina, Lagos Island, Lagos. Address: 11B, Karimu Kotun Street, Victoria Island, Lagos. Address: 24 Whaff Road, Kaduna, Kaduna State. Address: Shop 88/89 Federal Palace Hotel Complex, Victoria Island, Lagos. Address: 41 Martin Street (1st Floor), Lagos Island, Lagos. Address: 15, Addis Ababa Crescent, Zone 4, Wuse, Abuja. Address: 23A, New Market Road, Onitsha, Anambra. Address: 14, Balogun Street, Lagos Island, Lagos. Address: 124 Awolowo Road, Ikoyi, Lagos. Address: 134, Awolowo Road, Ikoyi, Lagos. Address: Shop 7, Airport Hotel Shopping Arcade, Ikeja, Lagos. Address: 9, Johnson Street, Onitsha Market, Onitsha. Address: 16A, Adetokunbo Ademola Street, Victoria Island, Lagos. Address: 270 Ozumba Mbadiwe Street, Victoria Island, Lagos. Address: 130, Awolowo Road, Ikoyi, Lagos. Address: Bestway Hotel, 55 Orlu Road, Owerri. Address: 110 Obafemi Awolowo Way, Ikeja, Lagos. Address: 9 Ribadu Road, S.W. Ikoyi, Lagos. Address: 19 Broad Street, Lagos Island, Lagos. Address: 37 Awolowo Road, Ikoyi, Lagos. Address: 294 Herbert Macaulay Street, Yaba, Lagos. Address: 5 Koseh Street, Lagos Island, Lagos. Address: 19 Broad Street, Old Bookshop House, Lagos Island, Lagos. Address: 3 Nekede/Douglass Road, Owerri, Imo State. Address: 235 Igbosere Road, Lagos Island, Lagos. Address: Suit C. 310, Ikeja Shopping Plaza, Ikeja, Lagos. Address: 36 Awolowo Road, Ikoyi, Lagos. Address: 12 Issa Williams Street, Off Broad Street, Lagos Island, Lagos. Address: Local Airport Terminal 1, Ikeja, Lagos. Address: Shop No 39, Area 1 Shopping Centre, Garki, Abuja. Address: 24, Campbell Street, Lagos Island, Lagos. Address: Plot 1616, Adeola Hopewell Street, Victoria Island, Lagos. Address: E 10 Falomo Shopping Complex, Ikoyi, Lagos. Address: Block G Shop G1A, Sky Memoria Shopping Comple, Zone 5, Abuja. Address: 10, Engineering Close, Victoria Island, Lagos. Address: 8, Okpara Avenue, Enugu, Enugu State. Address: 158 Bamgbose Street, Lagos Island, Lagos. Address: Foreshore Towers (1st Floor), 2A Osborne Road, Ikoyi, Lagos. Address: Shop S.3/2 Main Market, Onitsha, Anambra State. Address: Cornershop 15, Addis Ababa Crescent, Zone 4, Abuja. Address: 71, Awolowo Road , Ikoyi, Lagos. Address: 5/7 Abibu-Oki Street, Lagos Island, Lagos. Address: Opposite ADC Airlines, Ikeja, Lagos. Address: 57/58, Federal Palace Hotel, Ahmadu Bello Way, Victoria Island, Lagos. Address: 17, Idumagbo Avenue, Lagos Island, Lagos. Address: 156A Adeniji Adele Road, Lagos Island, Lagos. Address: Okoi Arikpo, Idowu Taylor Street, Victoria Island, Lagos. Address: Shop 3, Airport Hotel Shopping Complex, 111, Ikeja, Lagos. Address: 11, Ladipo Oluwole Street, Ikeja, Lagos. Address: Plot 1680, Sanusi Fafunwa Street, Victoria Island, Lagos. Address: 28 Osolo Way, Off M.M. International Airport, Ajao Estate, Lagos. Address: Local Airport, Terminal 1, Ikeja, Lagos. Address: Nnamdi Azikiwe/Alli Balogun Street, Lagos Island, Lagos. Address: 63, Adeniran Ogunsanya Street, Surulere, Lagos. Address: 16 Taiwo Street, Off Tinubu Square, Lagos Island, Lagos. Address: 7B, Dogon Karfe Street, Jos, Plateau State. Address: 19, Martin Street (4th Floor), Lagos Island, Lagos. Address: 5/7 Abibu Oki Street, Off Marina, Lagos Island, Lagos. Address: 15B Oke Awo Close, Victoria Island, Lagos. Address: 13, Davis Street, Lagos Island, Lagos. Address: 59, Ikorodu Road, Maryland, Lagos. Address: 317B, Ikorodu Crescent, Dolphin Estate, Ikoyi, Lagos. Address: 3, Bida Street, Onitsha, Anambra State. Address: 119 Obafemi Awolowo Way, Ikeja, Lagos. Address: 19a, Karimu Kotun Street, Victoria Island, Lagos. Address: Plot 290 Ajose Adeogun Street, Victoria Island, Lagos. Address: 208/212, Broad Street, Elephant Building, Apongbon, Lagos. Address: Plot 23 Adetokunbo Ademola Cresent, Wuse 2, Abuja. Address: Opposite Airport Mosque, Ikeja, Lagos. Address: No 3, Block 66 Addis Ababa Crescent, Zone 4, Wuse, Abuja. Address: 157 Mushin Road / 1 Abimbola Way, Isolo Industrial Estate, Lagos. Address: Block F, Shop 6, Falomo Shopping Centre, Ikoyi, Lagos. Address: 7, Sulu Bolaji Street, Lagos Island, Lagos. Address: 29B, Ikorodu Road, Maryland, Lagos. Address: 106, Awolowo Road, Ikoyi, Lagos. Address: Inside Agura Hotel, Area 7, Garki, Abuja. Address: 5/7, Abiku Oki Street, Lagos Island, Lagos. Address: 39, Campbell Street, Lagos Island, Lagos. Address: 219, Kirikiri Road, Olodi Apapa, Lagos. Address: 7, Club Road, Kaduna Town, Kaduna State. Address: 54/55 Taiwo Street, off Abibu Oki Street, Lagos Island, Lagos. Address: 37, Ajimoso Street, Lagos Island, Lagos. Address: Opposite Terminal 1, Local Airport Terminal 1, Ikeja, Lagos. Address: Behind Dulu Guest House, Opposite Sheraton Ho, Wuse zone 4, Abuja. Address: 70/70, Martins Street, Ereko, Lagos Island, Lagos. Address: 24, Warf Road, Hamdala Hotel Shopping Complex, Kaduna, Kaduna State. Address: 35, Olowu Street, Ikeja, Lagos. Address: 73, Broad Street, Lagos Island, Lagos. Address: 52A, Marina, Lagos Island, Lagos. Address: Local Airport Terminal, Ikeja, Lagos. Address: 29, Kakawa Street, Lagos Island, Lagos. Address: 32 Breadfruit Street, Lagos State, Lagos. Address: Ladi Kwali Way, Zone 4, Wuse, Abuja. Address: 13, Gbajumo Street, Lagos Island, Lagos. Address: 34E, Ado Bayero Road, Kano Town, Kano State. Address: 27, Awolowo Way, Ikeja, Lagos. Address: Plot 85B Ajose Adeogun Street, Victoria Island, Lagos. Address: 37, Niger Street, Union Bank Building, Kano, Kano State. Address: 47/57 Martin Street, 20th Floor, Lagos Island, Lagos. Address: 1, Sule Bolaji Street, Lagos Island, Lagos. Address: 17, Ahmadu Onibudo Street, Victoria Island, Lagos. Address: 38, Toyin Street, Ikeja, Lagos. Hope this list helps. In my next post I will be sharing with you my tips and tricks of CV making. If you don’t want to miss my future posts, please subscribe to my blog.